TUSCAN INSPIRED ARCHITECTURE!! The property is currently used as a winery in the heart of Winery Row on 20 acres of rolling plains nestled in between six mountain ranges. 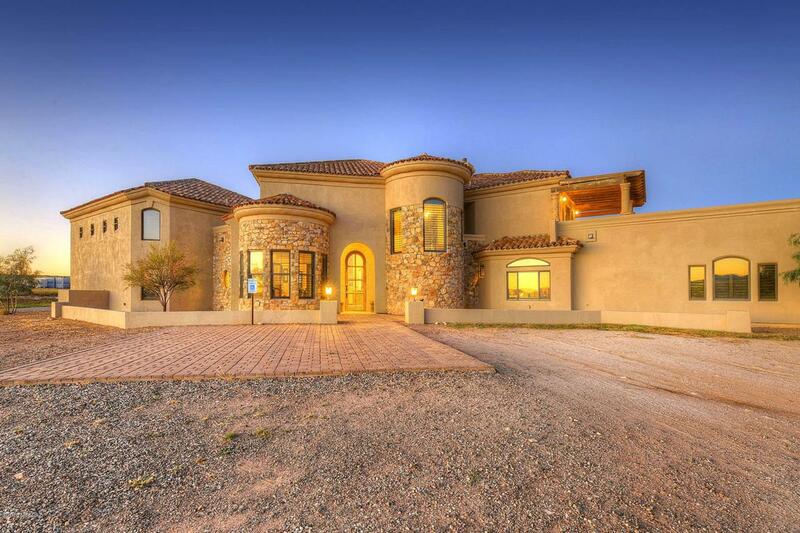 This palatial home offers 4 BD, 4 BA, 2 of which are suites w/private balconies to enjoy the views of serene Arizona terrain. The gourmet kitchen could easily be used for commercial use fully equipped with a Wolf 6-burner stove and hibachi griddle. The tasting room w/fireplace is warm and inviting with high ceilings and multiple windows for even more views of the gorgeous backyard vines. This property could continue on its current use or would make and excellent supper club for wine tasters after a fun day of visiting the neighboring wineries. There is an additional 40 acres w/tasting room available in beautiful Willcox. Courtesy of Long Realty Sonoita/Patagonia. Listing provided courtesy of Long Realty Sonoita/Patagonia. Listing information © 2019 MLS of Southern Arizona.